Regardless of where your cottage is located or a private house, you need to carefully prepare the territory. This issue is particularly relevant in hilly terrain. In this case, special fortifications are used. Thanks to the retaining walls, you can protect yourself from creeping and collapsing soil in the garden and in the yard. 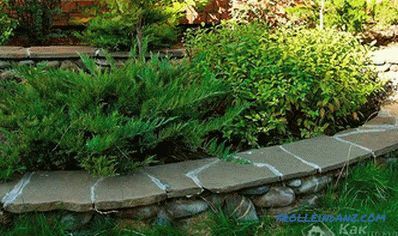 In this article, you will learn how to do the retaining wall with your own hands. Also, you will learn about what materials and methods for the construction should be used will be discussed in this article. At the very beginning it is worth noting that any piece of land has its own individual shapes, relief and size, which should be considered . In addition, it is necessary to take into account personal preferences, style of the house and other buildings. 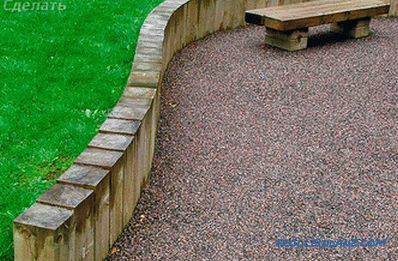 Even types of garden paths can affect the choice of material and the shape of the retaining wall. 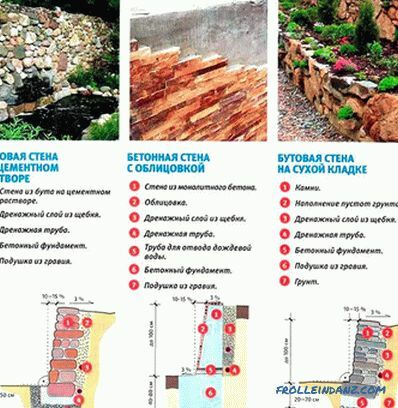 If the garden area is small, the maximum height of the retaining wall should not exceed 60 cm. 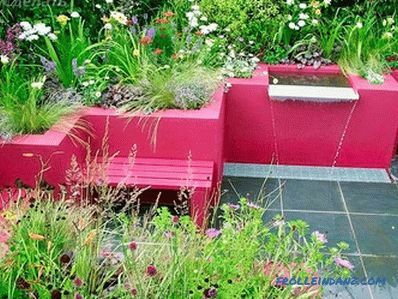 In addition, the selected material will also affect the overall appearance of the landscape design. Considering the options you need to take into account all the design ideas that will be implemented in the territory. So, for the monumental supports apply textured and embossed materials, dimensional stones of different shapes or powerful logs. To create a sophisticated landscape design fit plaster, small stones (gravel or crushed stones). solving the problem of uneven terrain. If your site is too pronounced, then you should consider options with a vertical layout. It lies in the fact that the entire area is divided into several sections, each of which has its own horizontal level and is fixed with a support. 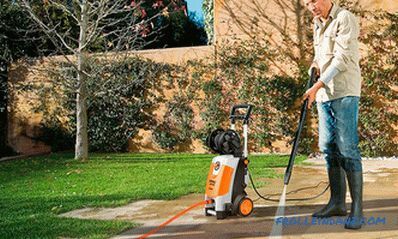 The foundation is underground, which allows you to take on all the pressure from the soil pressure. The body is the vertical part of the structure above ground (the main part). Drainage is necessary for the removal of water, since the excess moisture will destroy the backwater. Drainage - the remaining water will be absorbed into the layer and, when dry, will release moisture to nourish the plants. 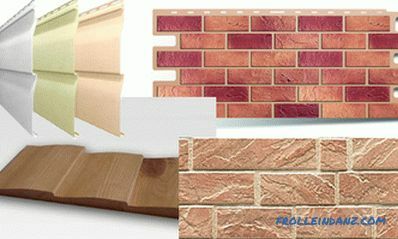 The wall can be made of virtually any material that is suitable for the local climate and the amount of precipitation. 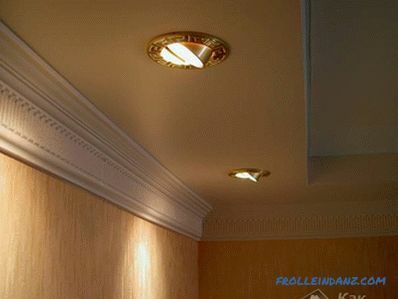 You can install it almost anywhere, but regardless of the planned height, it should consist of all 4 components. 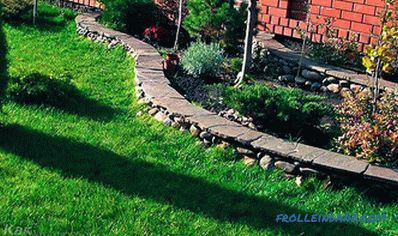 By carefully considering each step, you can end up with a durable retaining wall. To work enough to use their strength and low-cost materials. the weight of the decorative elements. To ensure maximum adhesion to the ground, the back wall should be rough. Also, the rear end should be carried out on an incline to the soil being held. 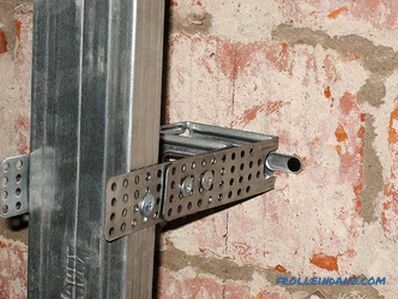 To reduce the pressure on the wall in the ground it is necessary to lay hollow elements with low weight. To reduce the likelihood of tipping from the front side, it is necessary to indent the console. In addition to the above factors, there is another one - the thickness of the retaining wall. To calculate it, you must consider the type of soil and the height of the structure. 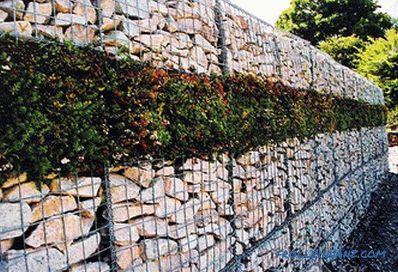 For soft soil and high walls choose wide protective shields. It is believed that the simplest and easiest material is wood. It will be much easier to build a wall from it than from a stone or gabion. To create a wall, select logs with a height of 1 to 1.5 m. At the same time, 50 cm must be in the ground, and 1 m will serve as a protective support. 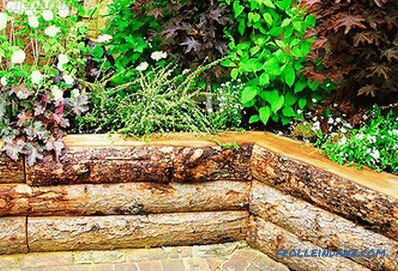 The part of the logs that will be immersed in the ground requires special treatment in order to last longer. 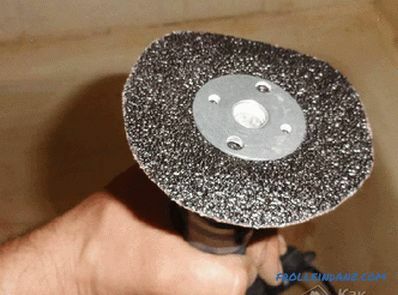 For this purpose, special modern tools or hot bitumen are used. Trench dimensions should be 10-15 cm larger than logs. The bottom is covered with a cushion of gravel and compacted. When installing lumber, you can use wire to increase the density of the wall. You can also use nails as fasteners. After installation, the trench is poured with concrete. It is necessary to begin construction from the foundation, namely from the trench. The maximum depth is 50 cm. All technology is identical, as is the case with any building or fence. The formwork and cushion and waterproofing layer are arranged. Structural strength is ensured by reinforcing mesh. 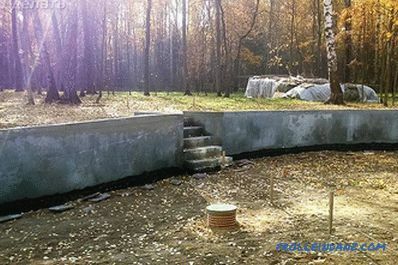 The foundation for the stone retaining wall is made of concrete. The width should be 2 times the wall itself. If the clutch will form voids, then they are overwritten with a special mixture. When dry laying stones in the seams use garden soil, in which plants are then planted. Quite often, after repair and construction work, there remains a brick, both solid and chipped. 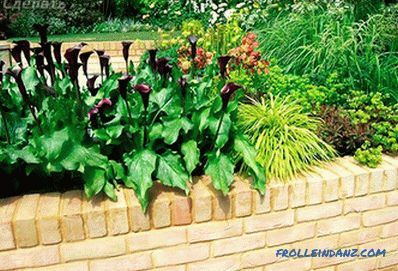 You should not throw it out or sell it, because from it you can build a beautiful, but rather strong retaining wall. Masonry differs little from the technology of building a house. The only difference is thickness. 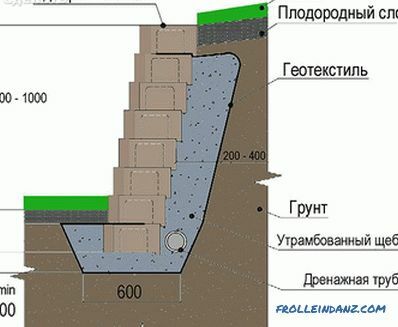 For a wall with a height of 60 cm, it is possible to carry out laying in half-brick, the width of one brick should be intended for a support of 1 m or more. The construction technology of a retaining wall on a relief section will directly depend on the material from which it will be made. 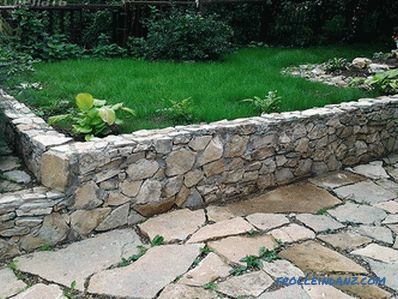 When forming a retaining wall, it is not necessary to apply a flat, horizontal line. This can be a wave or arbitrary patterns. Underground drainage. 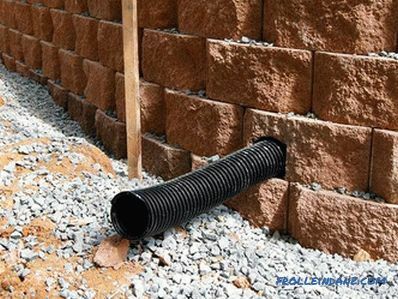 The system is presented in the form of a special perforated drainage pipe, which is installed in the base of the wall. For reliability and protection, the pipe is wrapped in geotextiles. With its help, the water will not accumulate, and go along the laid route to the drain. Ground drainage. During the construction of the wall from the back side lay a layer of loose material (gravel or brick). 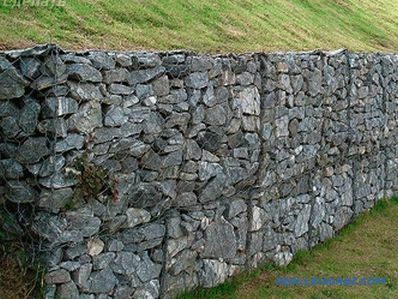 It will not allow excess moisture to destroy the structure of the base of the retaining wall. Water will naturally go far into the ground. Filter.Drainage can be equipped with special filtration holes. They are made in the wall of stone or concrete. For this, when laying through a row, it is necessary to leave one vertical seam without a solution. Excess moisture will go through these seams. Each territory needs a good drainage system, but special attention should be paid to regions with constant precipitation. A large amount of groundwater can adversely affect the structure. 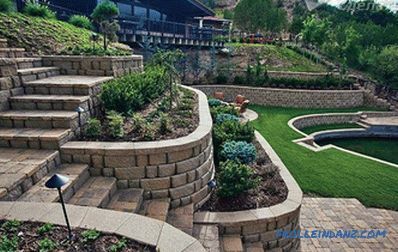 In order for the retaining wall not only to perform protective functions, but also decorative it is necessary to think about finishing. It is better to plan everything in advance and design it. 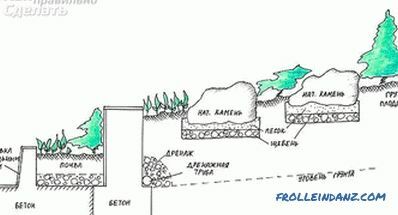 The wall should harmoniously fit into the landscape design on the site. 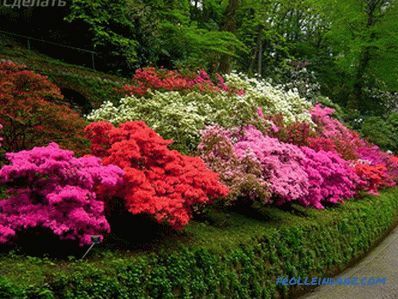 The most common method of decorative decoration today is planting. 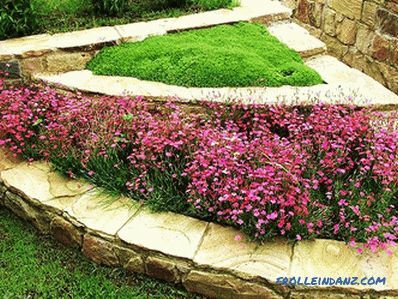 The best option would be to choose among ground cover species that successfully underline any element of the landscape plot. Among the common options is to highlight several design options. One of these is an artificial pond or fountain. The alpine slide will look no less attractive. Climbing plants will stumble across the entire retaining wall. Moss will also be an interesting option. 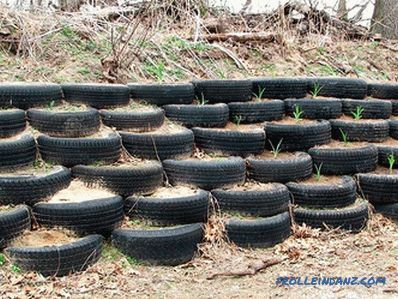 For this, the wall can be poured with kefir - this will speed up the growth of plants, as well as make the structure old. A competent combination of colors and materials used will help to prevent possible mistakes. For example, if the buildings in the territory are made of wood, then the wall must also be made of lumber. 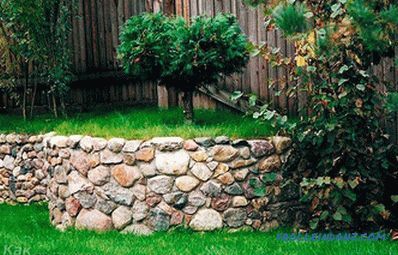 The retaining wall can be an excellent addition to a planned landscape project, as well as perform protective functions. Since it is under the open sky, it is constantly exposed to atmospheric influences. In order to protect the interior of the structure, it is necessary to carefully treat the seams of the brickwork Use special sealants, they allow you to protect the support from damage or deformation. Various experiments with decoration will allow you to get original and unusual results.